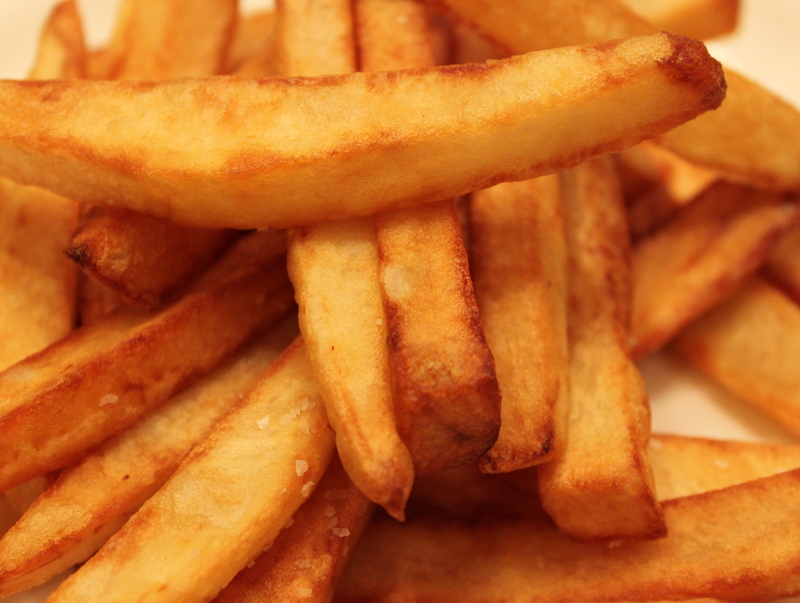 The trick to great French fries is to fry them twice; first for five minutes at a lower temperature and then again at high heat. Start with a starchy potato like russet or Yukon gold. Peel the potatoes and cut them into even pieces. Soak the pieces in cold water for an hour to really pull the starch to the surface. Heat the oil (canola or peanut) in the deep fryer to 325 F and fry the potatoes in batches for five minutes. Transfer these proto-fries to a cooling rack (put some paper towel underneath to catch excess oil. Raise the temperature of the oil to 375 F.
Return the fries to the oil and cook until golden brown. Shake off the excess oil and sprinkle with salt while they are very hot. Enjoy.